Ellissa Chambliss of Buehler’s Fresh Foods defeated competitors from across Ohio to claim the title of the Ohio Grocers Association (OGA) Best Bagger Champion at the Aug. 9 competition held at the Buehler’s Wooster Milltown location. This is the second year in a row that Chambliss has claimed the state title and the fourth year in a row that a Buehler’s bagger will represent the state of Ohio at the National Grocers Association’s national bagging championship, which will be held in San Diego in February. 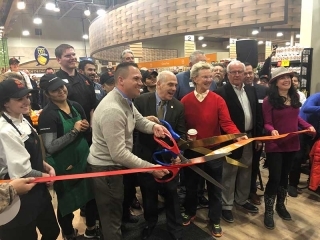 Designed to promote supermarket employees and demonstrate a superior core customer service skill, the statewide competition has been held by OGA annually. Contestants are judged by speed of bagging, proper bag-building technique, weight distribution in the bag, as well as style, attitude and appearance. They were chosen through statewide competitions over the course of last year. “The OGA puts on a fun event, and we love to participate every year. We’ve been fortunate enough to have won this competition four years in a row in addition to the national championship in February 2017 in Las Vegas. 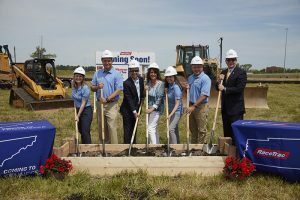 It’s nice to be able to say that our baggers are the best in the state as well as the country” said Dan Shanahan, Buehler’s president and COO. Buehler’s is an employee-owned company and operates thirteen supermarkets in Wooster (2), Orrville, Wadsworth, Medina (2), Ashland, New Philadelphia, Dover, Jackson Township (Canton), Coshocton, Portage Lakes (Green) and Massillon, Ohio.